Starting from a parking area along Scott Road follow the white blazed Otis Lippitt Trail almost to its end. 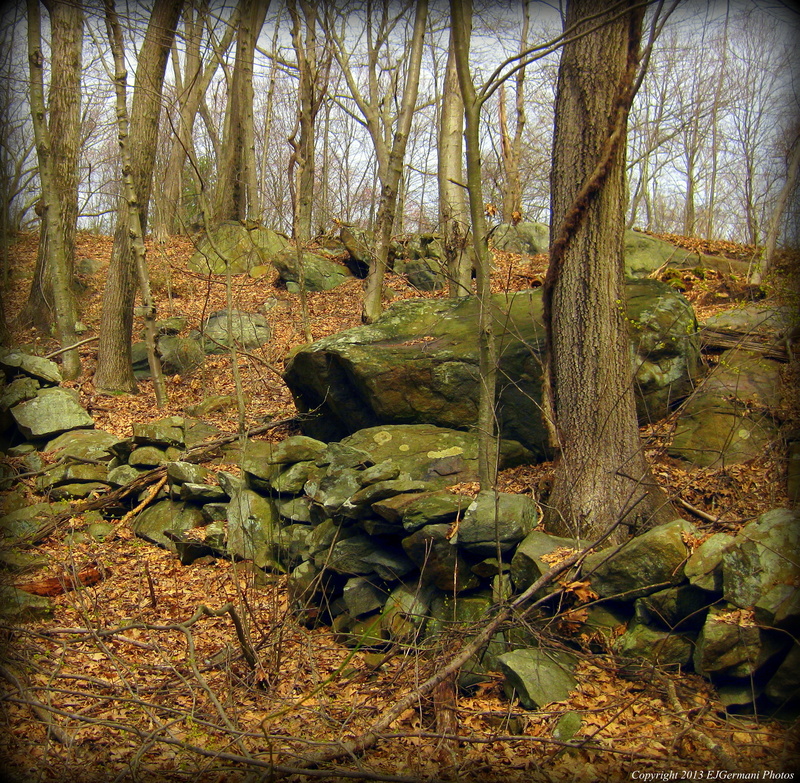 The trail weaves through the property passing several stone walls and Little Pond. Turn right onto the blue trail. This trail leads you along the eastern edge of the property passing a rather large ledge to the left before ending at an overlook. From here, over the houses below, you can see parts of Lincoln and Cumberland including the Lincoln Water Tower in the Highlands. From here retrace your step a few hundred feet and look for the red trail (currently not blazed) on the left. The trail descends down a significant hill and then turns right. Soon you will start seeing the blazes. Follow the red trail to its end back at the white trail. Turn left and retrace your steps back to the parking area.